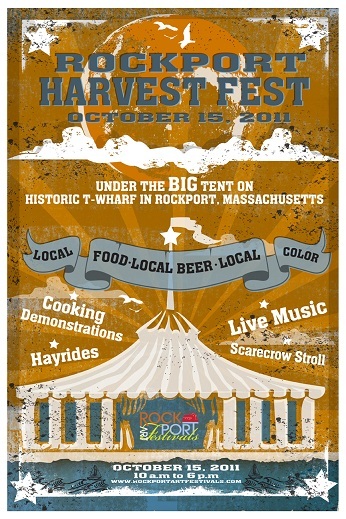 Friends, I’ve been honored with an invitation to join some fellow bloggers to discuss the question, “Does local matter when it comes to food?” at the Rockport HarvestFest on October 15. Heather Atwood, food columnist/blogger at the Gloucester Daily Times, will be moderating our discussion. We’ll be on at 4PM, but there is an entire day of festivities, including a food demonstration by Chef Frank McClelland of L’Espalier, Sel de la Terre and Apple Street Farm in Essex, a seafood throw down and live music. If you’re around, come up to Cape Ann, take in the foliage, eat some good food and listen to what will hopefully be an interesting discussion.